Paul Pereira’s address to the 2017 Nation Builder conference on the long story of SA social investment, and the moral choices made by Anglo American. The notion of “good giving” in voluntary support of community upliftment is very much a zeitgeist of our times. Already in 2012, a global Barclays Wealth survey found that, as a proportion of disposable income given to community causes by employed individuals, South Africans were the world’s second most generous, after Americans. In 2015 Statistics SA reported that the number of people who volunteered unpaid time in support of community projects – most often through churches and schools – had almost doubled in just two years, and now runs into millions of South Africans. In the private sector, corporate social investment (CSI) has entrenched itself as a standard practice in many companies, in a way that it simply wasn’t just over 20 years ago. By CSI, I am referring specifically to that part of broader corporate social responsibility (CSR) that is external to company and employee needs, external to product marketing, and aims at uplifting communities in such a way that the quality of life is generally improved and safeguarded. CSI is a more focussed part of social responsibility than more general forms such as employee housing benefits, or cause-related marketing, or suchlike – good that those things are. But whether we’re talking about CSI or CSR, we’re still talking about a phenomenon of business seeing its own citizenship role as something much broader than simply a responsibility to shareholders only – and rather taking a view that it has responsibilities to societal stakeholders across the board. That isn’t something unique to South Africa, of course, and we see this broader citizenship role, in how business reports and tries to position itself, across the developed world in particular. Indeed, there is now even an International Organisation for Standardisation certification for corporate social responsibility, ISO 26000. Generally, though, there are fundamental differences in emphasis and even raison d’etre between how business approaches its community engagements in South African CSR and CSI, to how it is approached in much of the rest of the world, and especially in the Global North, or First World. Whereas the drivers for business social responsibility in places like the United States and Europe coalesce around brand positioning, attractiveness of companies to especially young employees, and consumer buying habits where these are linked to values that are deemed to be inherent in particular brands or products; the drivers in South Africa are different. Here, it is less about sometimes ephemeral things like brand positioning, worldwide environmental issues, and other “First World problems”, and more about a reaction to very human circumstances in widespread poverty, lack of opportunities, and in a fractured body politic. You might say that in South Africa, reality is more real. You just have to look at the pieties of a phenomenon such as the American B-Corporation movement, where values, supposed company purpose and brand positioning seem all-important, while hard on-the-ground community realities barely rate a mention. In our country, it’s a lot more coalface, and tricky too. Apart from social investment forced though state licencing conditions in our mining and alternative energy industries, CSI in South Africa is basically a voluntary add-on to things that are enforced, like taxes. Here, companies-as-citizens go beyond the inherent good of their very existence to helping build SA through corporate social investment, enterprise development, skills development programmes, employee benefits in housing and bursaries, community social and labour plans (mining and alternative energy sectors), industry transformation charters, Broad-Based Black Economic Empowerment codes of conduct (with the dti), King Committee codes of the Institute of Directors, national “pacts” on schooling, procurement, skills, and a green economy”, in programmes of employee community volunteering work, and more besides. It’s a lot, an effort often in support of the National Development Plan’s call for business to be “active citizens”, something summed up by Brand SA as “the responsibility, and opportunity, for South Africans to engage with and among themselves” (my emphasis). “A successful society depends as much on the quality of its citizens as it does on that of its leaders. This includes a particular kind of citizen: the company, or corporate, citizen”. 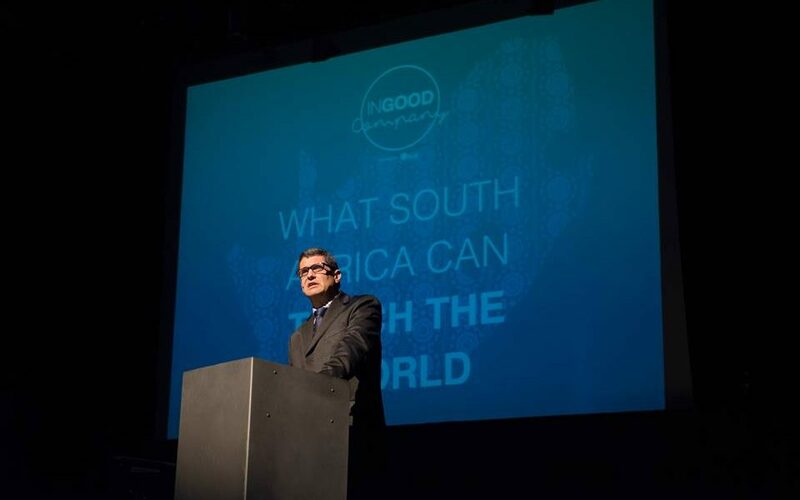 This idea, of approaching social investment as part of a deeper corporate citizenship, and to do so in a business CSI culture of partnerships between funders and doers; in a collaborative approach, and without the “me, me, me” basis of much of the world’s social responsibility practices, is very South African. To take on CSI in this way is a choice; it not the obvious choice; and it is a profoundly political act. It doesn’t come from nowhere. In the 1830s, the Cape of Good Hope Bank started a “Cape of Good Hope Trust” as the continent’s first charitable grantmaking vehicle (it still exists, now housed in Nedbank). For formal CSI, we must go back to the second year of De Beers Consolidated Mines (DBCM) in 1890 Kimberley, and that year’s DBCM annual report by chairman Cecil John Rhodes, where he argued the case for philanthropy being part and parcel of the company’s duty. Then, founded in 1917 by Ernest Oppenheimer, the Anglo American Corporation started its community giving two years later to help assuage the devastating “Spanish ‘Flu”. It would be through what was the Anglo American Corporation, for most of its life incorporating De Beers, that the defining choices about how South Africa’s private sector should behave in relation to broader society would be made – and especially to those excluded in our long night of Grand Apartheid. Before we look at this, let’s step back a bit, and put ourselves into a very different world. Imagine how big a place the world seems in the 1950s, 1960s and 1970s. Other places, ideas and conversations are very far away in a time of limited communication, and with much control over what is said or heard. The hegemony of white control and preconception is almost complete, from British Commonwealth abroad, through colonialism’s demise, through race law at home. If you are a Black South African, the isolation in the face of a bullish white nationalism must seem pretty complete. In and among all this, and a part of it, is that very imperfect creature, the Anglo American Corporation, a thing that would become so vastly economically powerful here after the success of its eastern Free State gold mines gamble, and which by the early Eighties may have controlled a third of the market capitalisation of the Johannesburg Stock Exchange. Like all formal sector companies, especially in mining and agriculture, it benefitted from migrant labour law and included some labour practices that were dodgy in the extreme – as recent and pending class action suits about silicosis and tuberculosis being allegedly caused unnecessarily on the mines, attest. Benefitting from the flexibility of movement that came with it enjoying enlightened leadership in the Oppenheimer owner/management set-up, Anglo American nevertheless also made some extraordinary decisions that went beyond its immediate business concerns or interests. It did so in speaking to a duty to a broader South Africanism that was in direct conflict with the ruling political mores of the time. I mention some of this here – enough, I hope, to show what can happen and what can be done, when business makes moral choices. I have no doubt that the approach taken by Anglo, stand-alone in our business community for much of these times, has strongly influenced how we behave today, and strongly affected how we judge ourselves in the carrying out of our social responsibilities and also in how we implement social investment. It has done so for the better. The scale of this commitment became stunningly clear in 1956 when armed police descended in their hundreds on Johannesburg’s Black residential area of Sophiatown, tearing down and levelling the entire suburb (to be renamed “Triomf”). Subsequently, Oppenheimer provided finance for the building of 15 000 new houses in the fledgling urban Black settlement South West of the city, the start of Orlando in Soweto. The Treason Trial, also in the 1950s, saw Anglo put all the trialists onto the company payroll, helping their families to survive the ordeal economically. Through the apartheid years, Anglo published its Chairman’s Statement annually across the media, double-page spreads that dealt hardly at all with the company’s fortunes, and rather dwelt on the local political and economic crisis, with calls for reform and specific suggestions. It became a sort of alternative state-of-the-nation address. The English press were supported, bought, and secured for opposition voices. In the Eighties, even the iconoclastic Frontline magazine was funded when it hit the wall, and The Weekly Mail newspaper, at opposite pole to Anglo in respect of the economic sanctions debate, was saved from collapse with the Corporation carrying its printing costs. The voice of opposition was kept alive in other ways too, most notably through the financial and other support given to the liberal Progressive Party for its entire existence – forerunner of today’s Official Opposition Democratic Alliance. The premier anti-apartheid research house, the SA Institute of Race Relations, received substantial support, and with the collaboration of others in the private sector, the Urban Foundation was set up in 1977 to work on township development in areas regarded by government as only temporary localities. In its 15 years, the Urban Foundation became the country’s leading independent development agent, creating the expertise we still rely on in the provision of low-cost urban housing. It electrified Soweto. And its work on alternatives to apartheid legislation had important effects in preparing the way for the repeal of Influx Control, the Land Acts, and the Group Areas Act. It acted also as a conduit for collaboration between such diverse parties as the Dutch Reformed Church and the Soweto Civic Association. Anglo’s setting up, under Stellenbosch Professor S P Cilliers, of the Institute for Industrial Relations in 1976, began the professionalisation of IR in South Africa and, importantly, did so with its trustees drawn from both employer and employee trade union ranks. Indeed, and years before the Wiehahn Commission’s liberalisation of black trade union activity, Anglo’s Harry Oppenheimer was calling on business to simply recognise and negotiate with black trade unions. When it was set up in the early 1980s, the Nation Union of Mineworkers found itself with offices provided by Anglo American. And during the conflictual stalemate of the late Eighties, Anglo was punting its “high and low road” scenarios to encourage movement to a negotiated national settlement. There is much, much more that could be pointed to, but those examples must suffice for now. Intertwined with all these choices – for you cannot properly separate it out – was Anglo’s corporate social investment work, which formed the basis of what we do in that arena across the South African business community today. This started ramping up in the 1950s with the formation of a Chairman’s Fund, followed by a decision in the early Sixties, remarkable for its time, that at least half of the company’s social spend should directly benefit Black people. For the purposes of our discussion, the moment critique comes in 1974. Here, then, was a momentous decision taken that would affect, nay create, South African CSI as we know it today. It was, uniquely among South African companies, for Anglo to create a formal department, headed by a person with executive rank, and well resourced, to develop and carry out social investments across the length and breadth of the country. For townships and villages from the Limpopo to the southern Cape, West Coast to Transkei, it heralded the coming of the cavalry, called the Anglo American and De Beers Chairman’s Fund. Led by Michael O’Dowd, it saw the start of a massive infrastructure development rollout called the Rural Schools Programme, which exists to this day, albeit now with rand-for-rand state support. It built the first Black Technikons, the SOS Children’s Villages, and backed welfare interventions everywhere, such as Johannesburg’s African Children’s Feeding Scheme – still running, and now feeding 31 000 youngsters in Gauteng every day. “…the importance of the people behind a project you are considering for possible support. “In my impressionable youth, Anglo American was the king of gem companies. I’m not saying its wage structures were perfect or its takeover deals were saintly. I think it conducted itself well for its times, but to later times, of course, yesterday’s good conduct is primitive, just as things that we say and think now, seeing ourselves as terrifically enlightened, will look primitive to our grandchildren. Anglo’s Chairman’s Fund, though, was a rare treasure, leaving a modest plaque on the walls of umpteen thousand crèches and clinics and community centres, and silently enriching arts and culture and philosophy and enquiry and research. If every company, on its own scale, merely took an interest in the country around it like Anglo did, we’d be a very healthy country”. Later led by the intellectually and ethically superb Margie Keeton, the Anglo American and De Beers Chairman’s Fund became a stand-alone in SA, and moreover developed what became a uniquely-relevant South African approach to best-practice CSI operating systems, philosophies, and community partnership protocols. The now-ubiquitous Anglo CSI model in SA’s business community may also be at work in more than 40 countries today – SA mining’s unique gift to humanity. The Chairman’s Fund department and team was transformed into a non-profit company that could house the CSI trusts of Anglo and De Beers, but also those of other companies, in 1998, and called Tshikululu Social investments. There it operated under Keeton for a decade, and has subsequently been led by the formidable Tracey Henry, herself a product of the old Chairman’s Fund. Tshikululu now houses the CSI work of 23 South African companies, from Anglo American through to FirstRand. As mentioned, the way that this has all developed, and especially after the Chairman’s Fund became a formalised corporate function with executive representation from 1974, would be decisive for how CSI is undertaken in South Africa today, from systems, to approach, to philosophy. Anglo’s contribution to community development work in South Africa last year topped R1 billion, but this is a company in decline. Perhaps its greatest gift will one day be seen in how it influenced others in the private sector. Many of the lessons of this work are embodied in the superb tools and advisories so professionally and ethically promoted by our hosts today, the Nation Builder campaign – and I commend them to you. Although that clearly wasn’t the motivation, Anglo American’s CSI turns out to have been an investment that just keeps giving back. For among the broader citizenry, the positive glow of decades of Anglo American, virtually alone, answering the calls of the destitute and the helpless, still counts for a lot. Surveys in the late Eighties, times fraught with ideological clash and social disintegration, found Anglo American to be the country’s most loved corporate brand among black South Africans. Social investment analysts Trialogue find that Anglo is rated best corporate grantmaker by companies and NGOs alike in perception surveys that they’ve run for most of the last two decades, which also speaks to how its trusts are managed to this day. As I noted earlier, the “personality” of CSI in this country is also far more complex than we might assume, especially when compared to trends abroad where businesses are often urged into this sort of work based on arguments that it will benefit their bottom line. In South Africa, the idea that this is the only reason to undertake CSI seems almost preposterous, given our realities. It would anyway be to miss some of the bigger drives to CSI here. One is that this work is often initiated bottom-up, from communities and employees with which a company is involved, rather than through top-down support for business growth, national plans, and the like. A lot of good giving through companies is simply organic in its origin. But in all of this, I submit, what is happening in our CSI is the result of choices made before us, and being made now again by ordinary people come together as South African companies. These choices matter. They are best when they are the stuff of curiosity, pictures with long horizons, inclusive in approaches of partnership, tolerant, and undertaken with humility. It is to go beyond the obvious, and it is to believe in our people’s potential, and in our own. Answering that is the duty of us all, and it is why we are here today – not jo seek wisdom just for ourselves, but to find it in the job of being true Nation Builders. 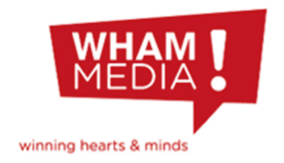 Paul Pereira is editor at CSI specialist communications hub, WHAM! Media. He is public affairs consultant to the Field Band Foundation NPC, an Honorary Policy Fellow of the SA Institute of Race Relations, and a former advisor to Nation Builder. Pereira is a past executive of Tshikululu Social Investments, has served as CSI communications manager of Nedbank, and is a former assistant editor of Finance Week.